So, you have a job interview – congratulations! Hopefully, you’re prepared and have your resume ready to go. 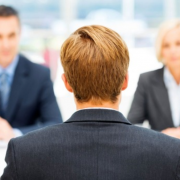 But, what are some interview mistakes that could end up costing you the job? Here are five common errors. First impressions matter and one of the biggest impressions you can give someone is whether or not you can be punctual. It’s important to account for any factors that could make you late (traffic, construction, phone dying). Your interviewer doesn’t want to hear excuses; your interviewer wants to meet you! Bringing a friend to your interview makes you look unprofessional and immature. If the friend needs to be with you for some reason, ask him or her to wait in the car or outside. 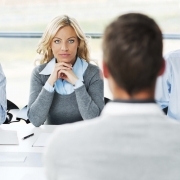 It’s essential that your interviewer’s first impression of you is of you alone. Don’t show up to your interview in jeans. Even if the job you’re interviewing for is casual, showing up in nice clothes symbolizes respect and a commitment to the job. If you don’t have nice clothes, see if you can borrow some from a friend for the interview. If you must bring your cell phone into the interview, don’t forget to turn it on silent. Even vibrate isn’t good enough because that can still be heard. If your phone starts ringing or loudly vibrating while you’re talking, it’s likely that your interviewer will lose his or her train of thought and not be able to focus on what you’re saying. Always shake hands with your interviewer when you first meet them, and when you’re about to walk out the door. This shows your interviewer that you respect them. It also shows that you’re mature and aren’t afraid of eye contact. 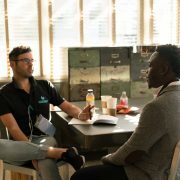 If you’re aware of these common interview pitfalls, hopefully, you can avoid them so you can increase your chances of being hired. Need some help? Contact Award Staffing. We will be able to match you up with interviews in your area so you can get the job opportunity you want. We have offices located in Bloomington, Chaska, Crystal, Delano, Maplewood, and Ramsey Minnesota to help you with your job search today! Want to learn more career tips and tricks – check our When Work Works blog.